After the victory at Helm's Deep and the lighting of the warning beacons of Gondor, Théoden had to quickly reorganize his troops. 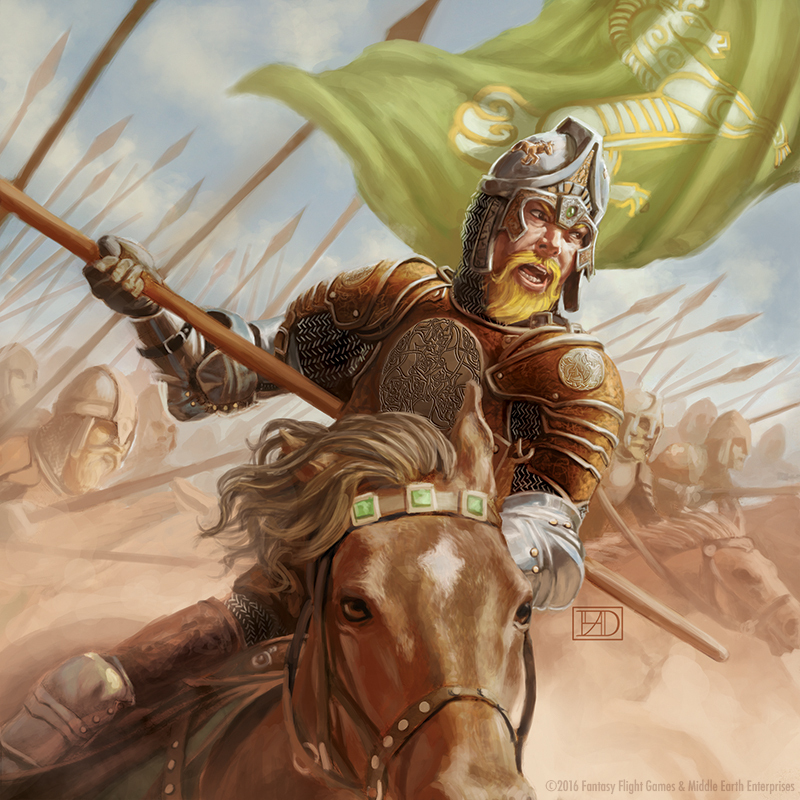 The elderly Erkenbrand commanded the defense of Rohan, while Grimbold was elected to take over command of the muster of the Westfold based on the valour he had shown at earlier battles. 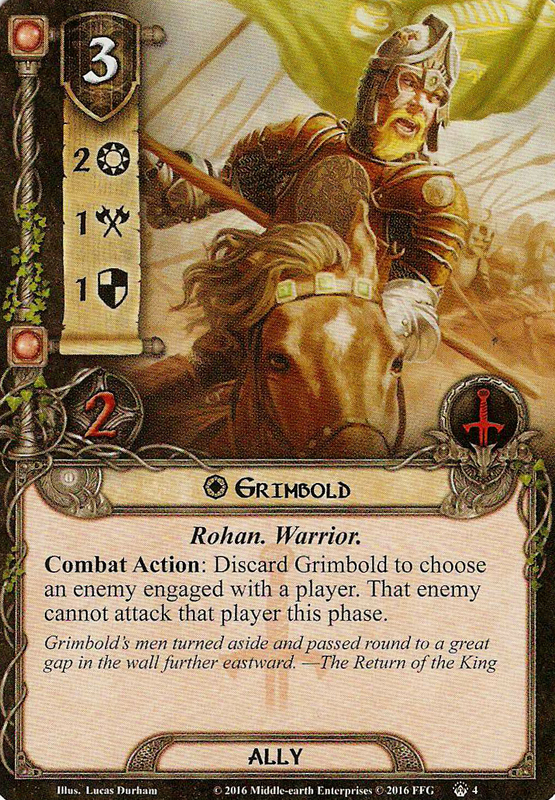 At the battle, Grimbold fought on the eastern side of the Pelennor Fields, where he was slain. He was remembered in the Song of the Mounds of Mundburg as 'doughty'.